We've collated photos, videos, slides and links from the conference below - we hope it's a valuable collection of information and memories from a great day! Thanks also to all of the community organisations and businesses who shared their work, products and services in our marketplace; it was fantastic to have you there. We hope that you've built new relationships and networks that expand and support your practice or services. 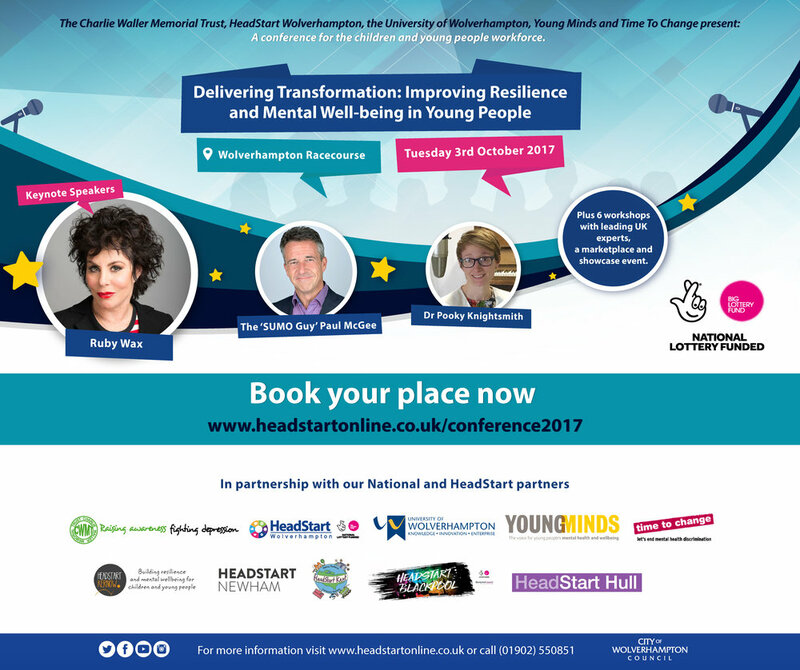 The conference opening and introduction to HeadStart nationally and to the work of HeadStart Wolverhampton. Conference workshops from national organisations and experts. Ruby Wax OBE. Mental health advocate & comedian.